One of the biggest hindrance for wireless charging technology on mobile phones would definitely have to be metal cases, especially now when more and more smartphone manufacturers adopting metal body or frame. Qualcomm has a new solution that will overcome the barrier, bringing wireless charging to every phone despite of the material it uses. “Building a wireless charging solution into devices with metal exteriors is a significant step for moving the entire industry forward. Today, more device manufacturers are choosing to utilise metal alloys in their product designs to provide greater structural support and, of course, aesthetics. QTIs engineering advancement eliminates a major obstacle facing wireless power and opens up the continued adoption of this desirable feature to a much wider range of consumer electronics and use cases”. 00 Steve Pazol, General Manager of Wireless Charging, Qualcomm Incorporated. Qualcomm hasn’t detailed on how the technology works. All they say is that the technology, WiPower, meets the Rezence standard, and is more tolerant of metal objects. This means that it wont interfere with other radios, and other metal objects like keys and coins that comes within the charge field will not affect the charging process. 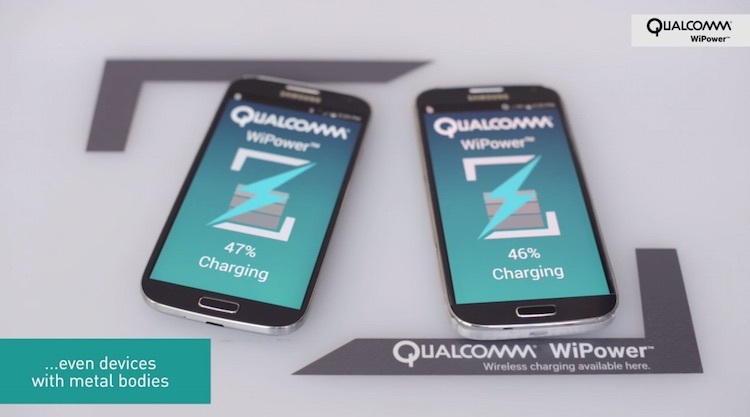 Qualcomm also says that it has maintained WiPower’s existing ability to charge devices up to 22 watts, at a similar speed compared to existing wireless charging technologies. The new technology for charging through metal back cover, as well as the full suite of WiPower reference designs are available today to WiPower licensees.